“Jailbreak” is now showing in cinemas! When watching the movie, one of the things that really stand out is its official soundtrack. Also titled “Jailbreak”, the cool-sounding music that blends traditional with modern is the work of two talented Cambodian entertainers that go by the name Kmeng Khmer. 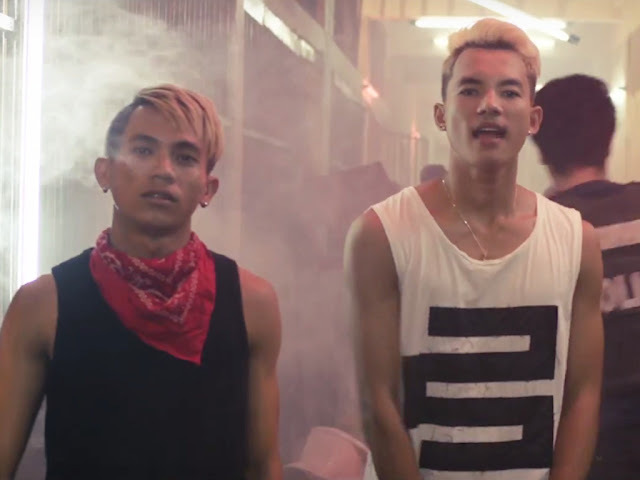 Consisting of rapper Koa Punleur and singer Chea Socheat, the popular duo is known for songs such as “My Way”, “Love Diary” and “Heartbroken”. JaiKon recently had the chance to sit down with Kmeng Khmer and ask them about their experience on not only working on the OST – but also acting in the action-packed movie! The duo appears in the movie directed by Jimmy Henderson alongside French-Cambodian action star Jean-Paul Ly, Bokator fighter Dara Our, MMA fighter Tharoth Sam, actor Savin Phillip, actress Celine Tran and Prince Sisowath Siriwudd. Kmeng Khmer’s music video for the “Jailbreak” OST [Watch it here]. JaiKon: How did you guys get involved in producing the OST for “Jailbreak”? Socheat: We had our album launching last year and Loy [“Jailbreak” producer] came to see us then. He liked our music so he told us about the film he was making. He asked us if we were interested in working on it too. After Loy met us, he contacted our manager, Baramey Production. We made a deal to make an OST for “Jailbreak”. The concept and everything is from Loy and Jimmy [“Jailbreak” director]. Punleur: Then we worked on the song with Morm Picherith, he’s our music producer. Socheat and I were responsible for the lyrics and rap parts. We each wrote our own parts in the song. Did you watch the movie or snippets of it before coming up with the song? What was your inspiration for it? Punleur: We didn’t watch it first. Socheat: We made the song before the movie started shooting. We went and trained every day with the stunt team to get our inspiration from the fighting scenes. Punleur: And Loy told us the concept of the story, gave his idea for the song. How long did you take to complete the song? Socheat: We spent nearly two months to make the song. We didn’t send them the draft. When we finished the whole structure, the whole sample draft, only then did we send it to them. They didn’t have any problems with the song or ask for any changes to be made? Punleur: Very little needed to be changed. Loy did ask us about the lyrics because it was hard to understand the meaning, both in Khmer and English, so we had to explain only that. Kmeng Khmer likes their characters in “Jailbreak”. How has the reception been for the “Jailbreak” OST? Socheat: When we released the audio on our YouTube channel, a lot of people were asking us about it – what does this song mean, what is it for. We said: Keep calm, wait for the video [laughs]. Then the music video was released a few days ago and everyone was impressed by it. The music video was also filmed on the “Jailbreak” set? Socheat: Yeah. We filmed it on the movie set. We had D-Man dance crew, the original choreo dancer in Cambodia who always collaborates with us in our performances and videos, working with us in it too. So Kmeng Khmer also appears in the movie, right? Does this mean we will be seeing more of you on the big screen? Punleur: This is the first movie ever for Kmeng Khmer. Maybe we will be back for more but we’re not sure. Most filmmakers in Cambodia don’t really understand Kmeng Khmer. We have rejected a lot of acting offers. Socheat: They want Kmeng Khmer to be the main character of the movie, but the movie is just funny or crazy. They try to change our personalities. It’s not us. Our characters in “Jailbreak” are us, the real us. Catch both “Jailbreak” the OST and the movie, now showing in Cambodian cinemas!